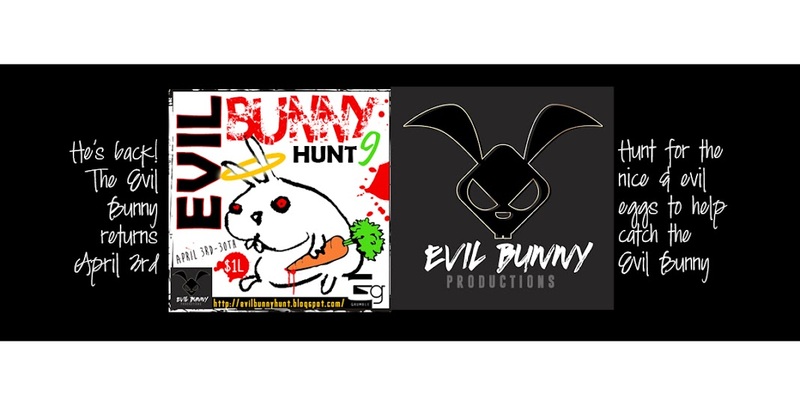 The Evil Bunny Hunt 9: The Evil Bunny is BACK in 6 days! The Evil Bunny is BACK in 6 days! THE EVIL BUNNY returns on Monday April 3rd! 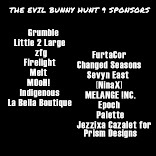 Find the EVIL and NICE eggs hidden at 70 stops along the hunt path! JOIN THE GROUP or use the HINTS tab up top, starting on Monday, to make your way through the hunt and help STOP THAT EVIL BUNNY!